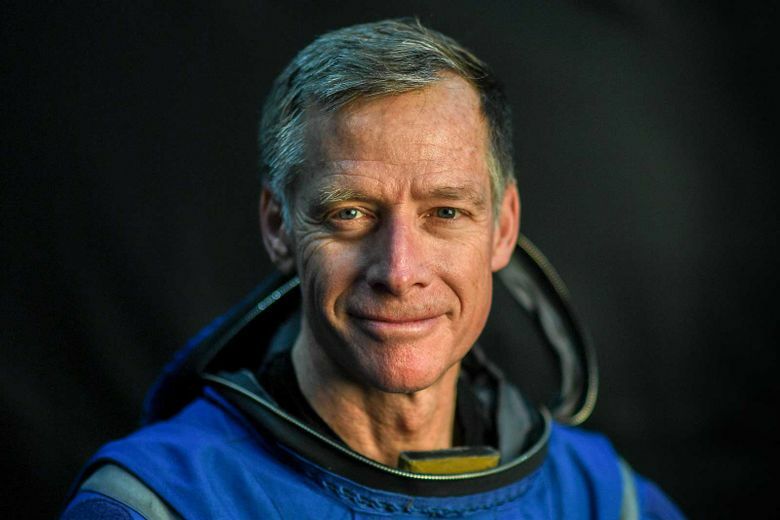 One small detail sets Chris Ferguson apart from the NASA astronauts he is training alongside. 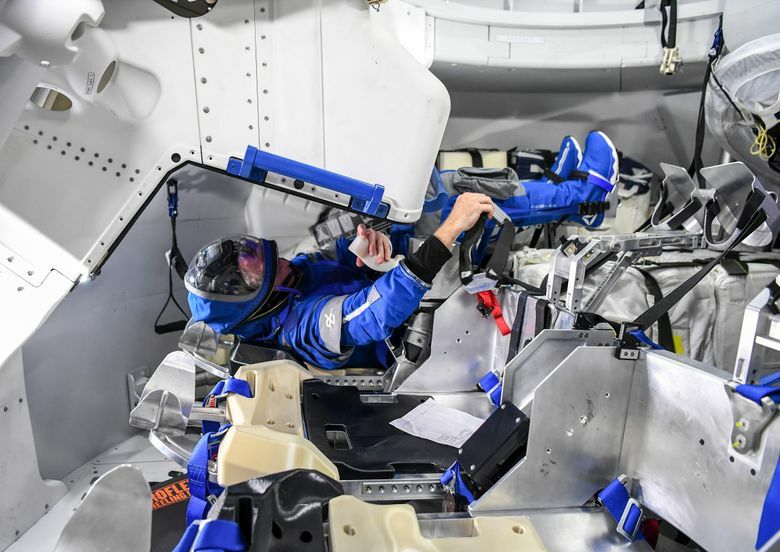 Where they have the space agency's red-white-and-blue logo on their spacesuits, he wears Boeing's corporate insignia as a test pilot of the inaugural flight of its Starliner spacecraft. There is one small detail that sets Ferguson apart from the NASA astronauts he is training alongside. Where they have the space agency’s red-white-and-blue logo on their spacesuits, he wears Boeing’s corporate insignia – a small accessory that symbolizes what the space agency hopes is a new era in space travel. In the contracts, NASA included a provision that allows Boeing and SpaceX to sell tickets to fly ordinary people, even tourists, on the NASA missions – civilian astronauts whom the companies would train and then fly to the station, where they would spend a week or so living in space. 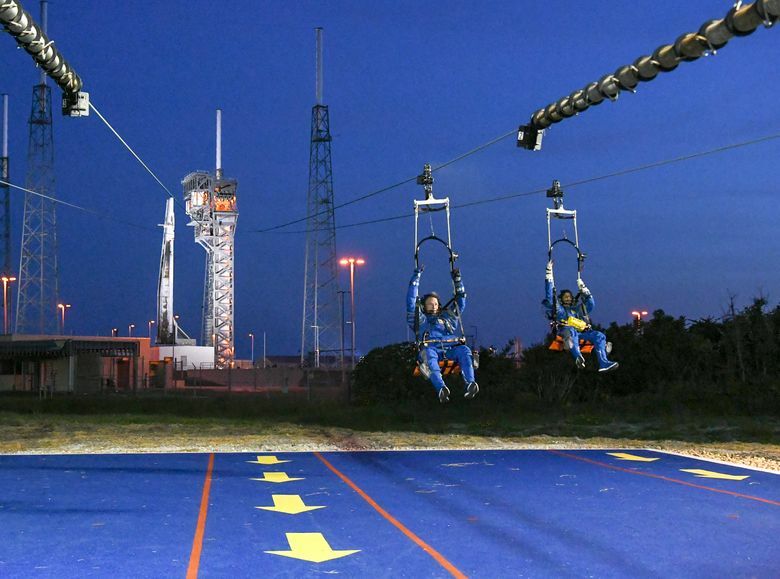 “Human spaceflight is the core mission of our company – to help create a future where millions of people are out exploring the stars and living on other planets,” Gwynne Shotwell, SpaceX’s president and chief operating officer, said in a statement to The Washington Post. Gathered in the Roosevelt Room of the White House in 1985, Vice President George H.W. Bush said he was pleased to announce “the first private citizen in the history of space flight.” It was Christa McAuliffe, a 36-year-old high school social studies teacher from Concord, New Hampshire, who promised to keep a journal of her in time in orbit just as “the pioneer travelers of the Conestoga wagon days” had. NASA had won the Cold War space race to the moon and was now aiming to make space travel routine with its space shuttle, a winged space plane that was supposed to fly affordably – and eventually take all sorts to space. NASA was already eyeing its next big program – flying a journalist, a contest that had drawn interest from some of the biggest names in the news industry, including Walter Cronkite. Jeff Bezos’ Blue Origin hopes to fly customers past the edge of space on suborbital jaunts within a year or so. (Bezos owns The Washington Post.) So does Richard Branson’s Virgin Galactic, which has persevered even after a co-pilot was killed when its space plane came apart during a test flight in 2014. Even Boeing, the large government contractor, has partnered with a company called Space Adventures to help book tourists on its flights. 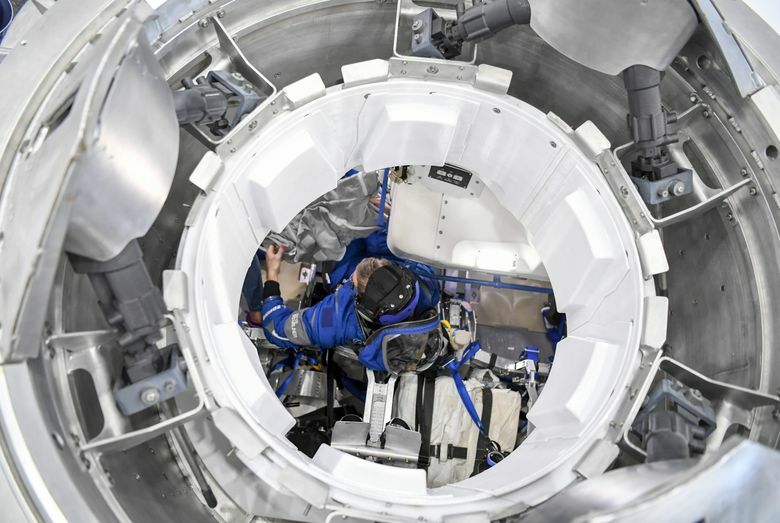 The Virginia-based company has helped arranged flights for seven tourists, including Dennis Tito, the American businessman, on Russian rockets to the orbiting space station. The company won’t disclose the cost – estimated at tens of millions of dollars – but it says it has a list of several others ready to go, including Sergey Brin, the co-founder of Google, who put down a $5 million deposit in 2008. Maybe one day the costs will come down – the companies say that’s the goal as more people get to space. But for now, space would be a playground for the super wealthy – or government astronauts. Virgin Galactic charges $250,000 for its flights. 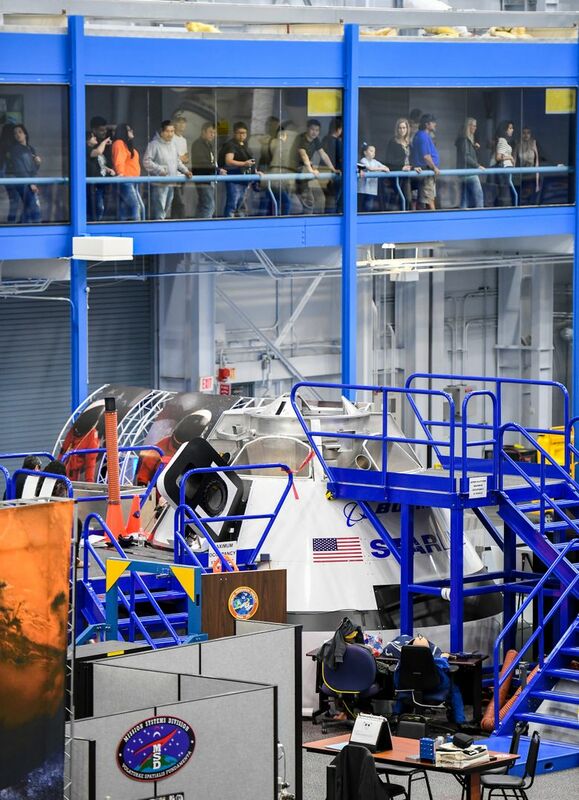 Blue Origin, which plans to start selling tickets next year, hasn’t announced a price. Axiom Space, a Houston-based company, plans to build a private space station and has hired Philippe Starck, the French designer, to make it as modern and comfortable as an outpost in space can be: oval windows in the cabins, walls that are plush and soft, not metallic, and an observatory with 360-degree views, the “best view anyone has ever had of the Earth,” said Axiom co-founder, Mike Suffredini, who had served as the manager of the International Space Station for NASA. Ferguson is getting antsy, too – and the pressure is mounting. The Trump administration reconstituted the National Space Council, has made space a priority and is eager to have crewed rockets blasting off from the Florida Space Coast again. Who will launch first – Boeing or SpaceX? It’s a topic of intense speculation in the space community, a modern space race, where companies are reprising the roles once played by nations: Boeing, the traditional stalwart, against Elon Musk’s brash and nimble outfit. Boeing confirmed last month that its emergency abort system suffered a significant problem during a test in June: Propellant leaked as the engines shut down. 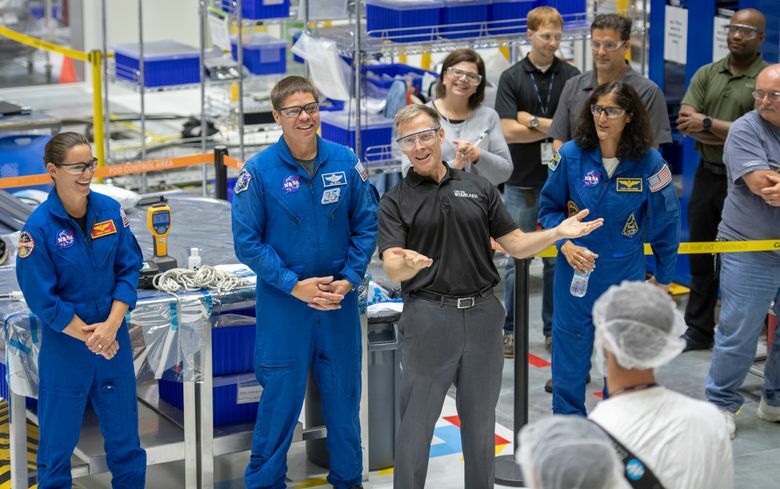 While Boeing officials said “we are confident we found the cause and are moving forward with corrective action,” the issue is likely to cause a further delay in its launch schedule.